Drive down logistics and inventory costs in just 9-12 months with Accenture Downstream Direct. We deliver a wealth of insights to widen operating margins. Access to real-time data helps companies dramatically reduce high inventory and logistics costs. That is why downstream leaders are moving to digital systems providing powerful, data-driven insight. Built on the SAP HANA platform, Accenture Downstream Direct is a solution from two top companies collaborating over 40 years to streamline complex business processes, including co-developing IS-Oil in the 1990s. Most recently, in an unprecedented collaboration, SAP and Accenture joined forces in core and industry platform development and go-to-market for SAP© S4/Hana. Only Accenture is working with SAP to build the next generation of downstream energy solutions. Watch how digital is helping oil and gas companies drive efficiencies right across the value chain. Woodside’s Shaun Gregory explains how predictive analytics will transform their LNG business. Andrew Smart explains the three trends driving change—and immediate action—in oil and gas. 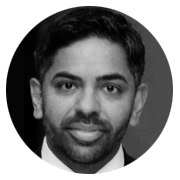 Nasir is a senior manager in Accenture’s Energy Industry group with more than 15 years designing and implementing innovative technology solutions for supermajor and downstream oil and gas clients. His experience includes global deployment of cloud-based solutions and IT cost-reduction initiatives as well as the architecting of business intelligence solutions. He currently leads the development and execution of the SAP-based Accenture Downstream Direct solution go-to-market strategy. Nasir holds a BBA and MBA from the University of Texas at Austin. He is based in Houston. 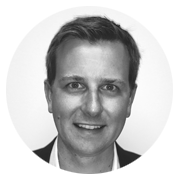 Taras is a senior manager in Accenture's Energy Industry Group with more than 10 years of experience in the oil and gas industry. He has worked with supermajor and independent oil companies on a number of initiatives including marketing and commodity trading and risk management implementations. He is well versed in contract-to-cash processes and commercial pricing structures across the oil and gas value chain. In addition, Taras has experience with upstream marketing and implementations of midstream scheduling systems. He has also led numerous large international projects and worked in multiple countries including the US, Philippines and South Africa. Taras holds a B.S. in Business Administration from Carnegie Mellon University in Pittsburgh, Pennsylvania. He is based in San Francisco.